My big plans for Winter Break involve a book, the fireplace, and a bottomless cup of warm goodness. If you’ve been waiting for a chance to catch up on some professional development reading, this is the time. The HERC has been building our collection of new books that will inspire and fortify your teaching practices. When I’m out and about at different schools around the county I hear a lot of interest in The Daily 5 approach. So if you can’t make it to one of their trainings or want to read up on it in addition to one of the webinars, we have the book by Gail Boushey. Our Librarian, Ryan, has got a new favorite on her desk about visual thinking; It’s The Doodle Revolution by Sunni Brown. If your reading program needs some refreshing I highly recommend The Book Whisperer by Donalyn Miller. 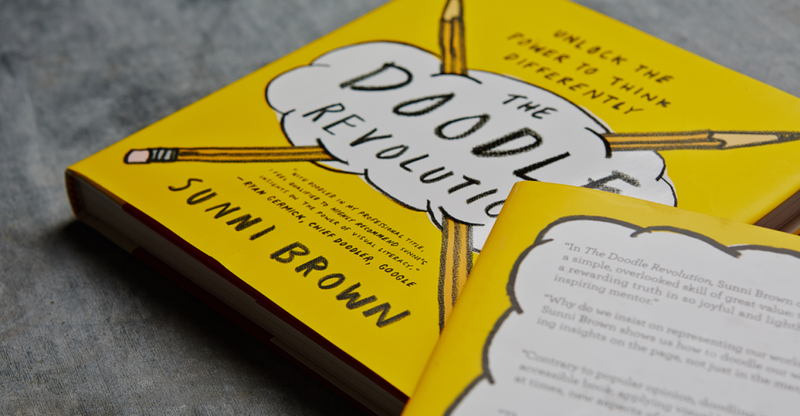 Her two books completely changed the way I addressed reading, focusing on choice and inspiring a love of books. 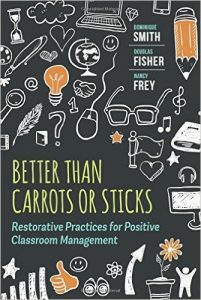 One last stand-out is Better Than Carrots or Sticks: Restorative Practices for Positive Classroom Management by Dominique Smith, Nancy Frey, and Douglas Fisher. 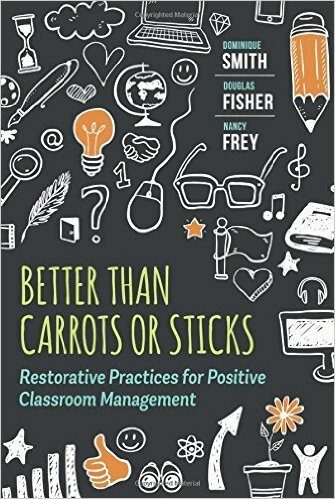 If you can’t make it to the Restorative Practices training here at HCOE in January, this might be a good alternative. I never knew the HERC had all these professional development texts available for check out. Don’t spend your own money– come borrow our books and settle in for a cozy read in your favorite chair. There is still time to have one delivered to your school site before break, or come on in and browse our shelves. Give Ashley or Marika a call at 445- 7074 and they will get your request filled. We are normally open from 8:30-5:00 but will be closing at 3:30 Dec. 27-30 (we will be closed and indulging in our own reading Dec. 19-26 & Jan.2).